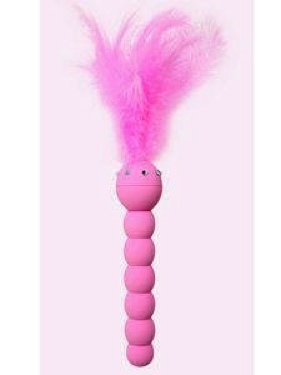 5.5 insertable inch (14 cm) vibe adorned with feathers and rhinestones. Super powerful vibrations. Feather tickler teases, multi-speed vibration pleases. Silky Smooth texture. Waterproof. Phthalate free. 2 AA batteries not included.